Well, I’ve gone and done it. As of today, I am officially an ‘ex-teacher’. 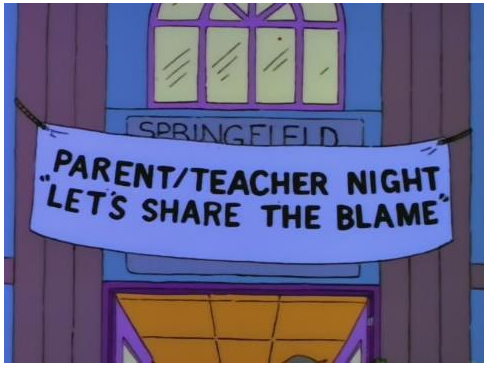 I decided to cancel my registration to the GTCS (General Teaching Council Scotland) since I hadn’t actually taught in a school for the best part of the last decade. After a few years with Learning and Teaching Scotland (now Education Scotland) I have been working independently, while holding on to my teaching registration ‘in case of emergency’ as it were. 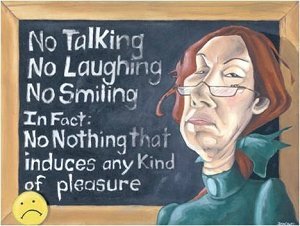 Realistically, I am never going to teach kids again, but I intend to work with and support teachers for a good few years to come, so don’t dare use the ‘R’ word in my company if you don’t mind. It’s such an old-fashioned concept these days. To mark this momentous occasion I received two letters from the GTCS in the post today. Unfortunately neither contained the gold watch I jokingly referred to when I spoke to the young woman on the other end of the phone on Wednesday. However, I did appreciate the sentiment contained in the first of them. Over the course of more than thirty years in the classroom I would like to think there is some truth in this, and the thing which gives me most satisfaction is the number of ex-pupils I meet frequently around my home town who want to reminisce about ‘the time you……….’ etc etc. Not once, after all that time, has any of these conversations been other than positive, funny or heart-felt. The other letter, in case you were still wondering, began as follows. It would be easy to sink into a slough of depression at this point, and to conclude that one is indeed only a number in an over-bureaucratic system, but that would be to exaggerate greatly the case. There is no other profession which comes close to that of the teacher.It is indeed an honour and a privilege, and the greatest rewards don’t come in the form of gold watches but in the appreciation from those who matter most. The term ‘flip teaching’ or the ‘flipped classroom’, has been around since the early 1990s, but it was in 2004, when Salman Khan began to record videos of maths lessons for his younger cousin, to allow her to replay those parts of the lessons she found difficult and skip the parts she had already mastered, that the idea really took off. When other friends and relatives started asking for the same help, Khan decided it would be easier to set up his own YouTube channel and post the tutorials online. The reaction was immediate and overwhelming. Within a couple of years the online videos were receiving millions of views, and Khan gave up his job to establish the Khan Academy. The rest, as they say is history. The arrival of the internet had allowed for easy production and distribution of video lectures, and the attractions for students and institutions alike were not difficult to fathom. In traditional settings, such as are still found in many colleges and universities, it meant that the old model, where students would listen to a lecture in class and follow it up through further reading or problem-solving, could be ‘flipped’, with students watching the lesson in their own time (as often as necessary and with the ability to stop or pause), freeing up class time for group activities, or for teachers to work with individual students, monitor their progress and answer student questions. It was starting to look like the ‘brave new world’ – or as some would have it, the dystopian vision – of some of the science fiction stories of the mid – 1900s was beginning to come true. So far, so good for the notion of flipped learning, but would the principles apply equally well in a school environment? There are many teachers who have blogged about the merits and demerits of making the shift from ‘sage on the stage’ towards ‘guide on the side’, as the two extremes of teacher-pupil interaction have often been characterised. You can read one or two of them here, but one of the best and most practical pieces I have read on the subject is this one by Mike Gunn over at Failing to Learn Better, where he talks about the challenges and rewards of changing the nature of the relationship with your students, so that the first responsibility for learning rests with the learner and not the teacher. One of the interesting consequences of this kind of approach is that homework, often seen as unnecessary or irrelevant, becomes highly significant as an integral part of learning. The ‘flipped’ label might be from recent history, but some of the principles of the flipped classroom most certainly are not. 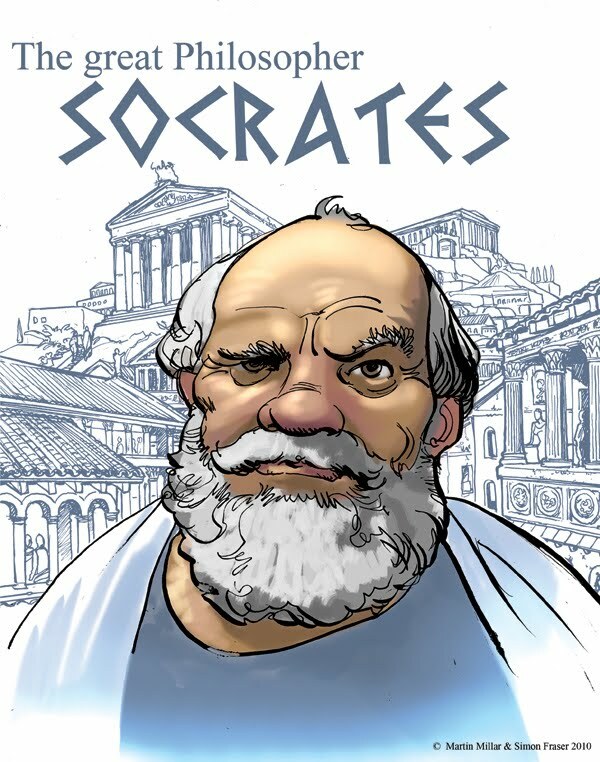 Almost two and a half thousand years ago, the Greek philosopher Socrates believed that there was a better way of teaching students than through direct instruction, and that the greatest danger to both the individual and society was the suspension of critical thought. His theory was based on the notion that students could improve their reasoning skills and move towards more rational thought, based on logic, through a constant examination and questioning of their beliefs. This ‘Socratic questioning’ method, as it came to be known, involves recognising that all new understanding is linked to prior understanding, that thought itself is a continuous thread woven through our lives, and that the ability to ask the right questions is just as important as the ability to answer them. A modern manifestation of Socratic questioning in the classroom can be seen in the pedagogy of Socratic Circles or Socratic Seminars. Not to be confused with ‘literature circles‘, this methodology involves students engaging with a text appropriate to their stage of development, in their own time, in preparation for class (the ‘flipped’ element of the process). The text is usually short, is not necessarily in printed form (see Curriculum for Excellence definition of ‘text’), and should be read critically by the student. In other words, they should ask questions of the text, summarise their understanding of it, and take a note of those aspects of the text they don’t fully understand. In class, two concentric circles of students are formed. The inner circle discusses the text for a time determined by the teacher, and the object of the exercise is to develop everyone’s understanding of the text through exploration and analysis. The role of the outer circle is to listen carefully and provide feedback at the end of the allotted time; those in the outer circle are not allowed to speak during the discussion phase. After feedback, the circles change position and the new inner circle continues the discussion for the allotted time, and so on. Every participant is expected to make at least one contribution to the discussion. The Socratic Circle is NOT a debate, and there are no winners and losers, though proponents would argue that everyone is a winner. The objective is to improve the understanding of everyone in the group. 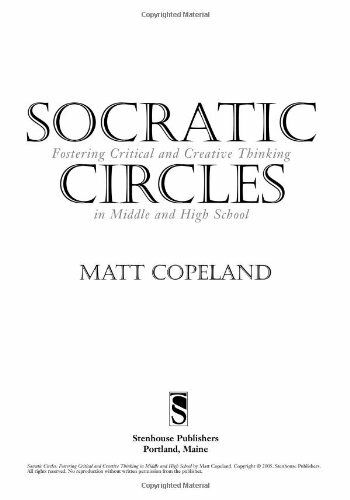 For any teacher who feels that they are carrying too much of the burden of learning on their students’ behalf, adding Socratic Circles to their classroom practice may well provide the first steps in the transfer of responsibility for learning to where it truly belongs – in the hands of the learners themselves. This is a simple application I’ve discovered recently, and already it’s being used by a great number of people. Like most of the new technology available to us now it’s also entirely free and easy to access and use. A wordle is a graphic representation of a piece of text; I have even heard it described as “word art”. The one at the bottom of the next column is a snapshot of my blog – the more often a word appears in the blog the bigger and more prominent the word in the picture. You get the idea. You key into a box a piece of text or the URL of your blog or web page and a “word cloud” is generated, which can then be downloaded, printed or shared with others. The colour, font and layout of the wordle can be altered with a click of the mouse! Thanks to digitalmaverick for the presentation below which illustrates the potential of Wordle.